We were craving a sweet treat today, so we whipped up a double batch of these & stuck them in the freezer! Now we'll be ready to ease our sweet tooth any time and know we are eating something healthy! Mix all ingredients in a large bowl until well combined & the mixture has a crumbly consistency. 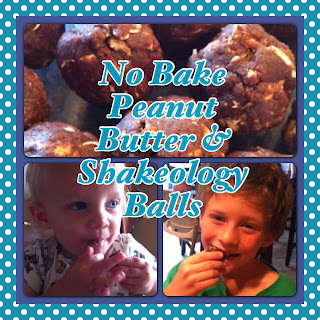 (Add a little more Shakeology if the mixture is still sticky). Roll into balls & place onto wax paper or in a single layer in a plastic container. Put into the freezer to firm up. These are TO DIE FOR! Enjoy! DO YOU KNOW HOW MANY IS A SERVING AND WHAT THE CONTAINER COUNT IS? ?